💕These rustic little beauties are made using my hand cast sterling silver flowers. 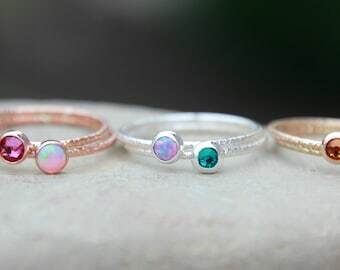 Since they are hand cast from real flowers, they have a lovely organic nature to each earring. I have added a tiny 3mm 14K yellow gold-filled bezel to the center of the flower. 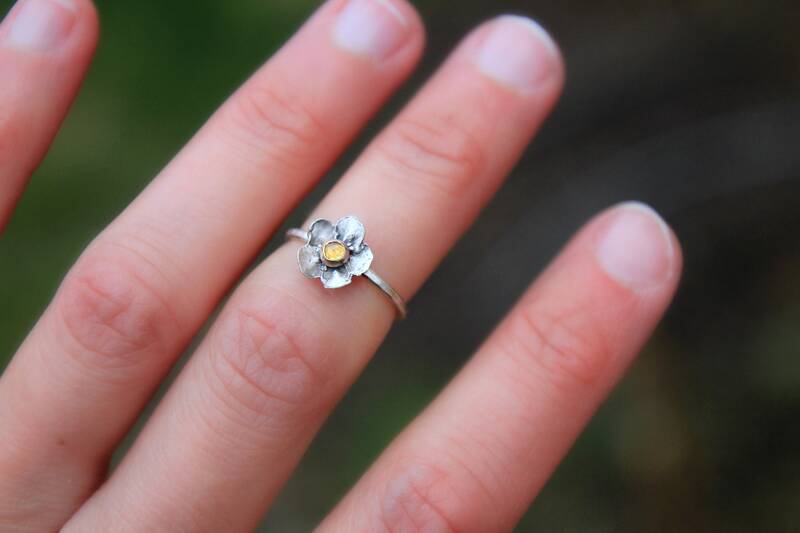 I chose to use yellow gold so it really adds to look of a natural flower with a yellow center. Each flower is around 7mm, so these are wonderfully dainty! 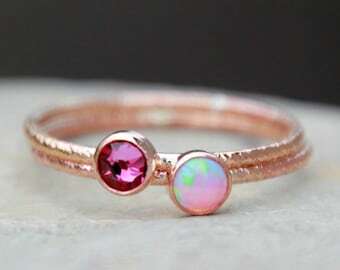 I have set a tiny 3mm rose cut cubic zirconia birthstone or opal in the center to make each charm pop with color, sparkle, and fire! 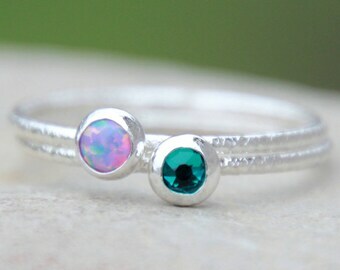 ***My opals and cubic zirconia gemstones have been made special for my shop, so you will not find them anywhere else! 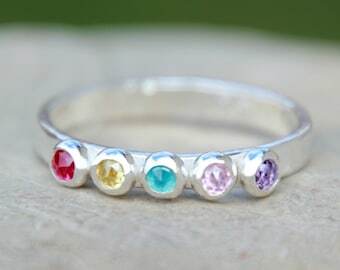 Please see the last two photos for the gemstone charts. 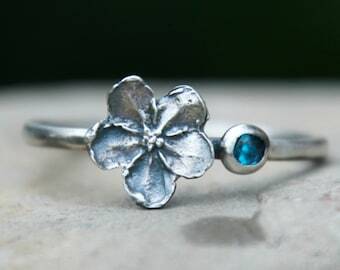 I have oxidized and highlighted each flower to really bring out the natural texture of each flower. 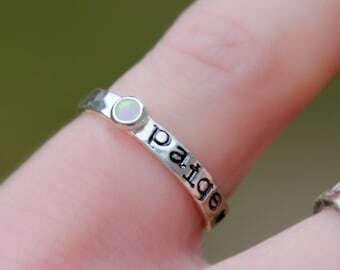 ***Each Band is around 1.3mm and is made by hand using Argentium Sterling Silver! You can choose to have your band smooth or hammered.